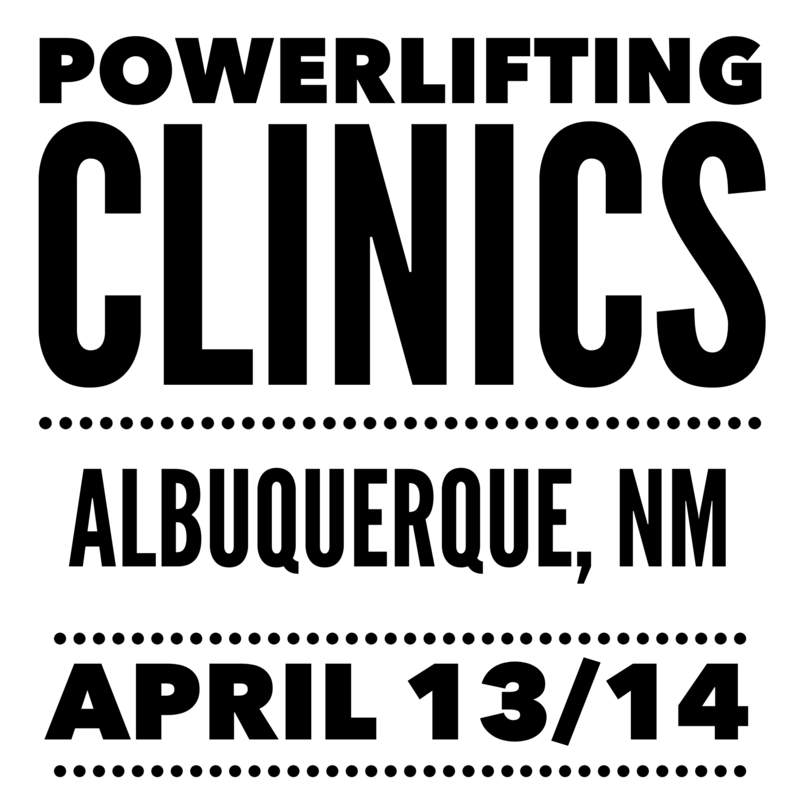 Juggernaut Powerlifting Clinics will help you improve as an athlete and coach through gaining a better understanding of short and long term training strategies, as well as improving technique in the Squat, Bench and Deadlift. 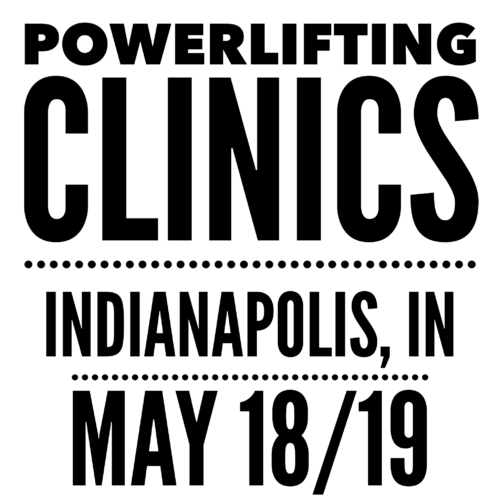 Lead by Juggernaut founder Chad Wesley Smith and 4x USAPL National Champion and 2017 IPF World Champion, Marisa Inda, these events combine lecture and hands-on coaching for an immersive experience that will benefit lifters from Beginner to Advanced. Juggernaut Powerlifting Clinics (E1014-A14B1) have been approved for .6 CEUs by the NSCA. 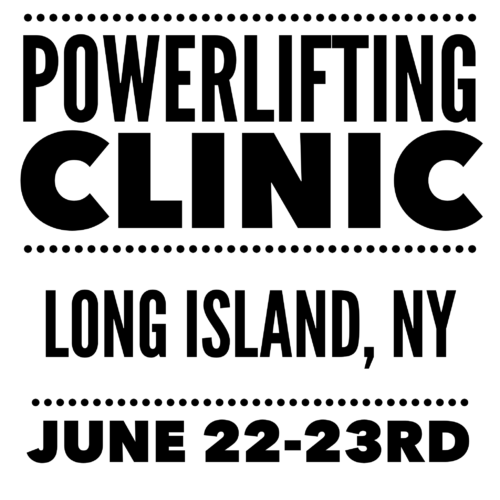 Our Powerlifting Clinic is designed for lifters and coaches of all experience and ability levels to improve their understanding of Program Design and Technique to improve long term training results. This event will combine lecture and hands-on coaching to give you a deeper understanding of the Scientific Principles of Strength Training and our Technique Pillars for the Squat, Bench and Deadlift. -Finding your Minimum Effective Volume and Maximum Recoverable Volume based on Individual Differences. -Understanding how the Principle of Stimulus Recovery Adaptation influences Training Frequency and how to find an athlete’s optimal frequency. -Creating a weekly training structure that best distributes volume throughout the week for maximum training effect. -Periodizing training for long term success through improved Fatigue Management and Phase Potentiation. -Selecting Exercises to address specific weakpoints and maximize the effectiveness of each phase of training. -Improving Mobility and Stability for each lift through proper warmup structure. -Optimizing technique for the athlete based upon relative strength/weaknesses and body proportions. -Identifying weak points and strategically selecting exercises to address those weak points. -Improving mentality towards training and competition.